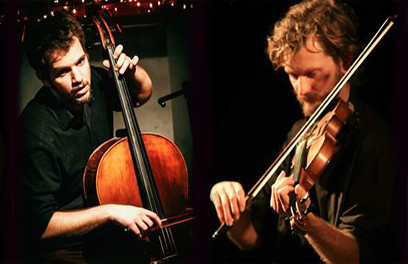 Giorgos & Nikos Papaioannou: Violin & Cello in Modal Music / 1st Period / 12 – 16 Apr. Although a seminar with special focus on arco instruments this seminar is open and specially recommendable for every instrumentalist and musician who wish to have either a first contact, or broaden their knowledge in relation with the modal musical worlds of the Eastern Mediterranean. During the the seminar we will learn traditional melodies from Greece, classical and folk repertory from Turkish and Arabic musical idioms as well as asymmetrical rythms and dances from the Balkan traditions. We will also examine some ideas about composition and orchestration within the context of modal musical traditions. Of particular interest to violinists and cellists coming from a western classical background will be a detailed analysis of the different playing techniques relevant to the violin and cello in the aforementioned traditions.